Cook Islands | Where is Yvette? I was lucky enough to visit the Cook Islands during my semester abroad in New Zealand as part of my program, which I wrote a bit about here. 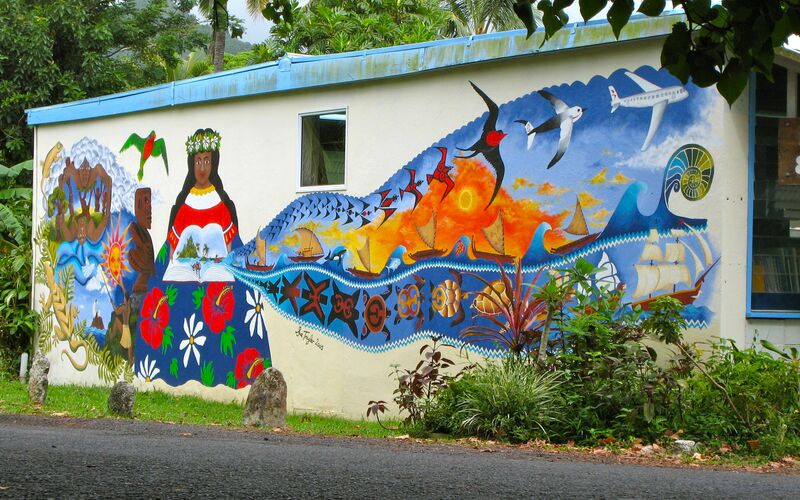 I’ve never been to Hawaii but it’s roughly the same latitude south from the equator as Hawaii is North, and is what I hear Hawaii was like 50 years ago… Fascinating culture, and this mural was near their branch of the University of the South Pacific where we went to listen to a few lectures to make our trip seem legit- such a beautiful piece of artwork for such a remote place.